Outdoor Furniture - Shop By Brand - Castelle - Altra Tables and Firepits - Trees n Trends - Home, Fashion & MORE! A place setting never looked so appealing as on one of our Altra tables. Specifically designed to match our collections, our unique detailing will encourage you to linger over a casual meal or glass of fine wine. 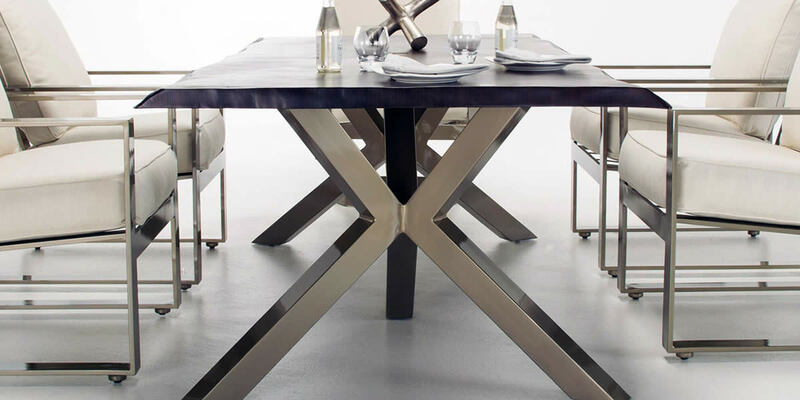 Handcrafted from aluminum, our tables are the anchor of our casual collections.